BC-130 clear plastic name tag plate adaptor for pin on name tag or ID tag. The name tag adaptor come with two holes for pins to adapt onto the adaptor. The adaptor come with alligator, so that you can clip your name tag to where you want to clip onto. 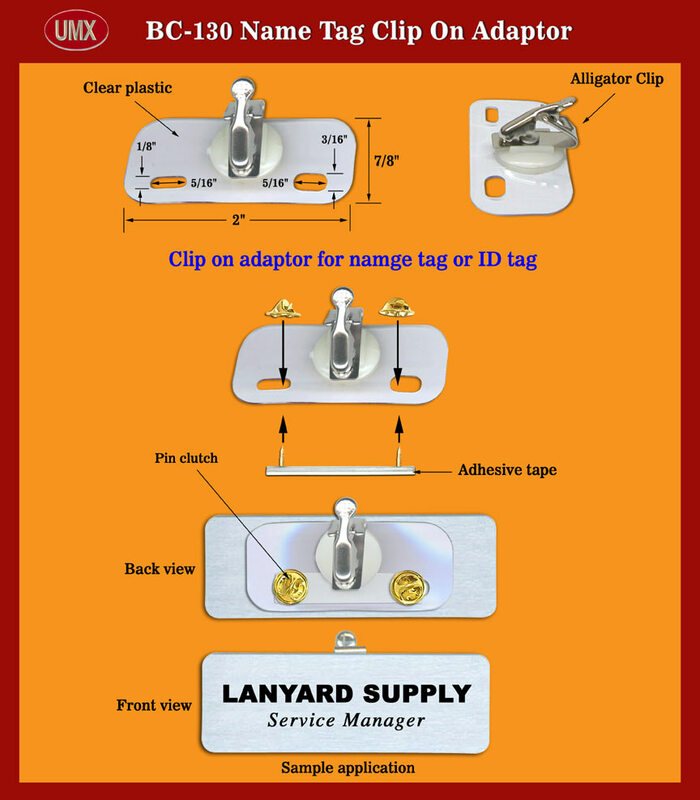 You are viewing Lanyards > Badge Clips > Name Tag Clip Adaptors: Clear Plastic Clip On Adaptors For Pin On Name Tags or ID Tags.